In this guest post, Nileema Somani, busts several myths about Actuarial science jobs, courses and salaries. As we can see from the graph, there is a steady growth in the number of students in the first four years (2008-2011) and then we suddenly see a big dip in numbers in 2012. Post this, it is changing marginally. Here are some facts that explain the dip in the number of students in 2012. In May 2011 attempt, 626 people attempted the CT3 paper (Probability and Mathematical Statistics) and none of them passed. This was as disturbing for the actuarial students as it was for the institute. Thus IAI came up with a more robust student entry system to provide a fair platform for potential students to see what is in store for them before they get neck deep into formal actuarial studies. This in when the Actuarial Common Entrance Test (ACET) was introduced. Actuarial aspirants were required to clear ACET to qualify for giving actuarial papers. 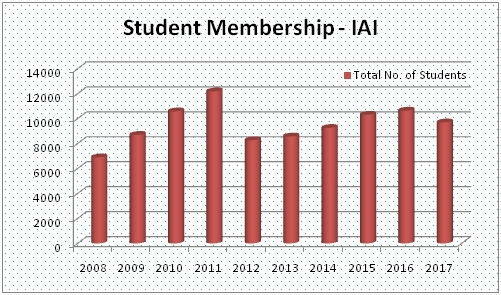 At first, this seemed like a pretty harsh decision from the institute and the numbers also supported our view (since the student members fell drastically in the year ACET was introduced – 2012). But later the institute did witness higher rate of successes amongst ACET students as against others and they knew that they are in the right direction. The reason for me to show you this graph is to let you know that unlike other professions, this profession has very limited number of members and even fewer numbers of fellows (By fellow, I mean a person who has cleared all 15 papers and is fully qualified). To be precise, as of 31st March 2018, we have just 379 fellows in India. This explains why the demand for actuaries is so high in the market. While this profession can be a very lucrative and self-fulfilling, one needs to be fully aware of what one is getting into. Being an actuary would cost you anywhere between 8-10 years and even more. This means that you get to spend your most fruitful years (20s and mid 30s) giving actuarial papers. This is enough to give jitters to people who think of opting for this profession and to add insult to injury we have this actuarial bubble floating in our society which makes it all the more difficult for them to decide. This article is my attempt to help you understand this profession better and to make you more informed about this domain. Mathematics and statistics are tools through which we apply the actuarial principles and hence these subjects area foundation of the profession. But along with this, we also have other elements like risk management, economic principles, modelling, communication. To take an example, a typical life insurance company has anywhere between 5-10 sub-teams in their actuarial wing. These teams are involved in different kinds of work like; experience studies, valuation, reserving, modelling, asset liability management, pricing etc. The work involves – reporting, analysis, data validation, modeling, experience studies and the like. Thus the profession is much more interesting and diverse than it may sound in the first place. If there is one myth that needs to be busted, it has to be this. I feel the package in our profession is thoroughly overrated. A lot of people are running their businesses (read coaching centers) on this ground. There are a lot of factors that decide one’s package in this domain; some of which are – the number of papers cleared, the domain you belong to (life insurance, pension, general insurance etc. ), the number and quality of work experience that you have, your area of expertise, whether you work for a domestic company or an MNC. Papers are just one of the many elements that contribute to the earning of a person. It is a combination of different factors that decide your package. It is an over-simplication to say that package is directly proportional to papers cleared. Undoubtedly actuarial science is a highly technical profession, but with fair degree of intelligence, it also demands determination and perseverance. The actuarial examinations are broadly structured as technical papers (CT Series), practical papers (CA Series) and specialization papers (ST and SA Series). The requirements for all these three sets of papers are fairly different. This can make this profession a roller-coaster ride. Along with decent intellect one also needs patience, consistency and practical experience to fare well in this field. A lot of students are under the impression that the actuarial exams are difficult to clear without the help of coaching centers. This is not completely true. There are many who do clear papers without seeking any guidance and this is because the course material is pretty exhaustive. Moreover the actuarial institutes do suggest reference materials; if any. They also provide tutorials in some cases. For example IAI conducts classroom sessions for different subjects and similarly the Actuarial Education Company (ActEd) conducts online tutorials on behalf of Institute and Faculty of Actuaries (IFoA), UK. One of the benefits that come along with these online tutorials is that you can revisit the modules as many times and at any time as per your convenience. While coaching centers do offer classes, they may sometime mislead people about the profession and may emphasize too much on “tricks and tips to clear actuarial papers” and in a way promote selective studies. This might not always work in your favor and in this field selective studies can land you in trouble during job interviews. One needs to be thorough with the concepts as the subject never leaves you, even when you have cleared it. While most of us work for insurance companies, it does not mean we do not work in other domains. Actuaries do exist in other fields’ like- banking, strategy, business planning, risk, finance and even in other unconventional fields like L&D and training. In actuarial course we cover a myriad of topics and skill sets; like modeling, financial economics, statistical methods, insurance principles, investment principles, enterprise risk management, communication essentials and more. These skill sets would help a person move into a lot more areas than what is generally perceived, after all at the end of the day the skills acquired matter more than the degree. I would like to conclude my article by stressing on the fact that the actuarial domain is much more diverse, interesting and challenging than a common man perceives. As a word of caution, do not believe everything you hear about this profession. It is always good to speak to an actuarial professional or to get in touch with the actuarial institutes to understand this profession better. Do not fall into the trap of the actuarial bubble! 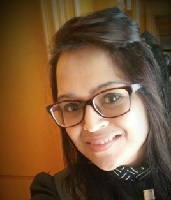 About the author: Nileema Somani is an actuarial professional with a leading Life Insurance company. She currently looks into the learning and development of the actuarial team in her organization. She is an active member of IAI and works closely with IFoA (UK) for the development of the actuarial students in her organization.